Labeling your blog posts and images is important for two reasons. Generally blog posts are categorised to group together similar types of posts and if you click on a label you should expect to see some related content. If you use a "related posts" widget (my preferred favouite is Link Within) then the suggested content is taken from keywords within a post and labels. Labels, tags or categories also contribute to your "Search Engine Optimisation" (otherwise known as SEO). Simply put, SEO is all about being able to find an appropriate web page among the millions of web pages on the Internet when using free search engines (Google, Yahoo, Bing, etc.). Having the right keywords within your content, inclusive of labels, is one of the key steps to ensure that your content is one of the first that people see when their search results appear. If you want to read more then have a look at the SEO Wikipedia page and How To SEO. Blogging plaforms generally have their own dedicated section for labels and you should use them effectively and wisely. 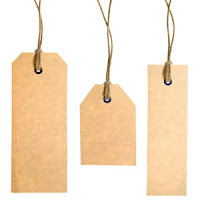 Ensure that you have chosen specific keywords to use as your labels (generally drawn from the subject matter). On the Blogger platform these are called "labels" and can be added in the "Post Settings" section. On Wordpress these are called "categories" and "tags" which allow for more defined categorisation. On both platforms this section can be found to the right of the post editor dashboard. TITLE text is a space to give more information about the image. It is basic metadata or descriptive information. The "title" text will appear when you hover your cursor over the image. This practice should take an extra couple of minutes when writing and publishing a blog post but will ensure that you secure your search engine optimisation and make it easier for your readers to find other content.